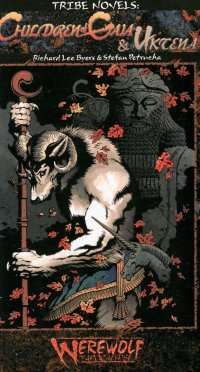 The Garou, the bestial werewolves who fight to save the natural world have their backs to the wall. In Tribe Novel: Children of Gaia, the storyteller Cries Havoc, robbed of his memories by the Wyrm, fights to become whole again. In Tribe Novel: Uktena, another songkeeper named Amy Hundred-Voices comes face to face with Lord Arkady the Silver Fangs accused of conspiring with teh Wyrm. Can she turn him from his destructive path?